Content: 2x Poker by Modiano, Colour orange. 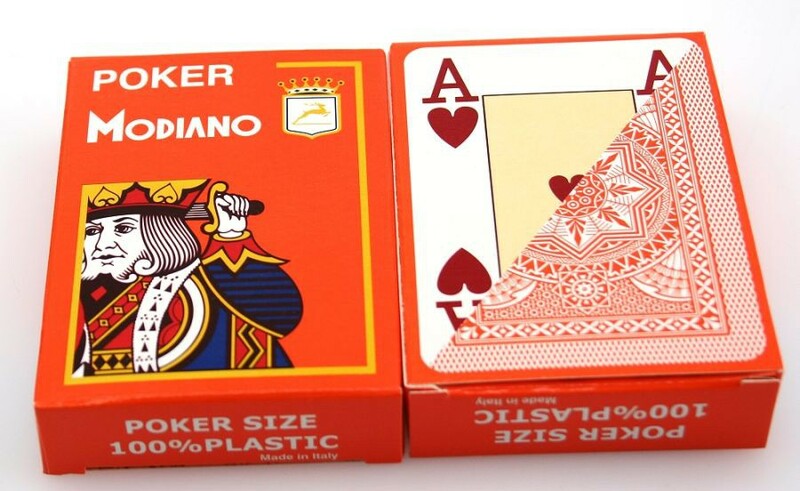 100% plastic playing cards, casino quality, each package with 52 cards + 2 joker, intern. 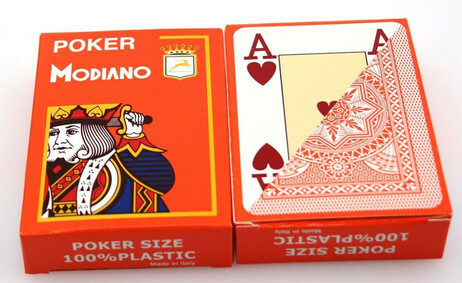 picture, poker size (88 x 63 mm), 4 JUMBO INDEX, Top - cards manufactured in Italy.